“Welcome to the zone of expertise and excellence. 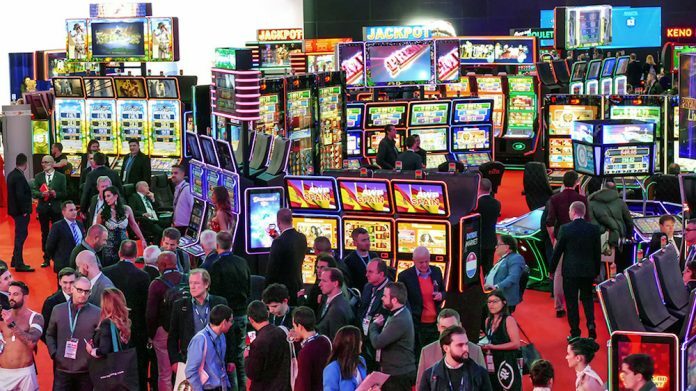 Booth S4-330 of EGT, EGT Multiplayer and EGT Interactive will share the gaming’s spirit of genius at the ICE 2019 and will keep the spark of innovativeness, engineering brilliance, smart design and over-the-top gaming content at its 1,200 square meters during the three days of the event. The General series’ debut will be completed with four more slot models. The G 27-32 Up and St cabinets feature a 27-inch high-resolution main and 32-inch upper widescreen monitors (with an option for a 32-inch topper), while the G 27-27 Up and St cabinets have all their displays and toppers in 27-inch size. All General machines are inseparable from the eponymous series of multigames. The first to be released is the Red General of 50 games, based on the Exciter III platform and on the concept to be generous in entertainment.